This entry was posted in Dancing With The Stars and tagged aly raisman, d.l. hughley, dancing with the stars betting odds, dancing with the stars season 16, zendaya coleman on April 17, 2013 by Bryan. Dancing With The Stars Season 16 rolled on through the competition, as we saw Lisa Vanderpump eliminated from the competition. Vanderpump’s elimination means that there are just nine contestants remaining moving forward. This entry was posted in Dancing With The Stars and tagged aly raisman, dancing with the stars betting odds, dancing with the stars season 16, lisa vanderpump, zendaya coleman on April 10, 2013 by Bryan. 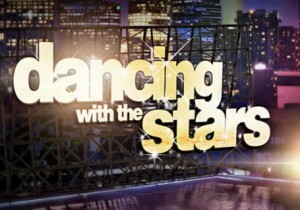 This entry was posted in Dancing With The Stars and tagged aly raisman, d.l. hughley, dancing with the stars betting odds, dancing with the stars season 16, wynonna judd on April 3, 2013 by Bryan. This entry was posted in Dancing With The Stars and tagged dancing with the stars betting odds, dancing with the stars finale odds on May 21, 2012 by Bryan. Katherine Jenkins, who has been high on Bovada’s TV/Film Props Betting Odds to win the show, put on a clinic in Monday night’s Dancing With The Stars and is looking really good as we settle into the home stretch of Season 14. This entry was posted in Dancing With The Stars and tagged dancing with the stars betting odds, dancing with the stars odds on April 24, 2012 by Bryan. This entry was posted in Dancing With The Stars and tagged dancing with the stars betting odds, donald driver dancing with the stars odds, donald driver dwts odds, odds to win season 14 dancing with the stars on March 12, 2012 by jimmyadministrator.